Item # 317797 Stash Points: 5,195 (?) This is the number of points you get in The Zumiez Stash for purchasing this item. Stash points are redeemable for exclusive rewards only available to Zumiez Stash members. To redeem your points check out the rewards catalog on thestash.zumiez.com. 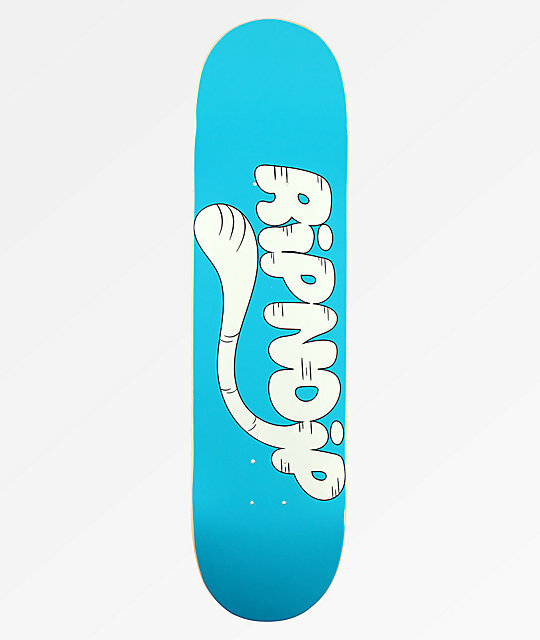 Show off some authentic brand loyalty while shredding with the RipNTail 8.0" Skateboard Deck from RIPNDIP. Inspired by the infamous Lord Nermal, this blue and white board features bold bubble logo script that impersonates the famous cat with the second "i" in "RIPNDIP" designed to look just like the feline's tail. 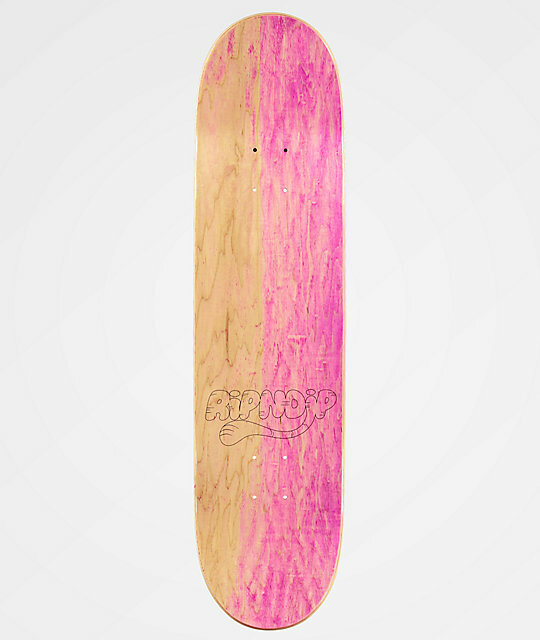 RipNTail 8.0" Skateboard Deck from RIPNDIP. Moderate pitched, slightly tapered kick tails.